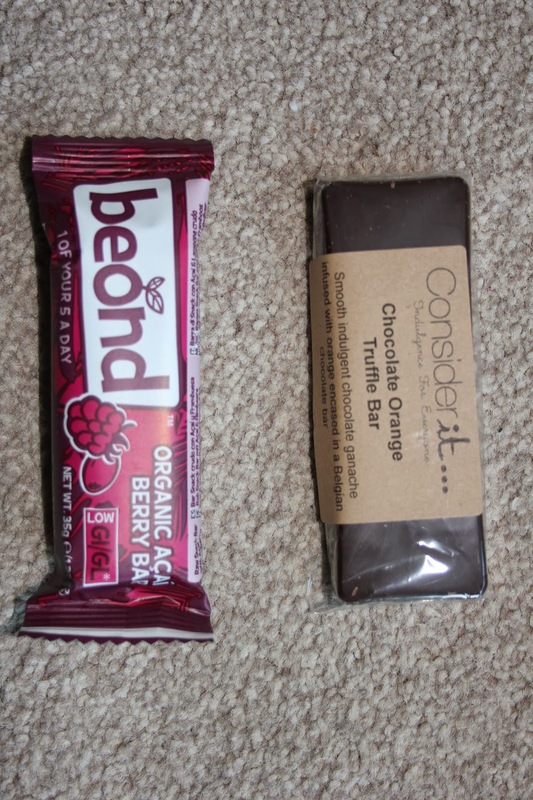 About three months ago I was approached by a new company called The Vegan Kind. 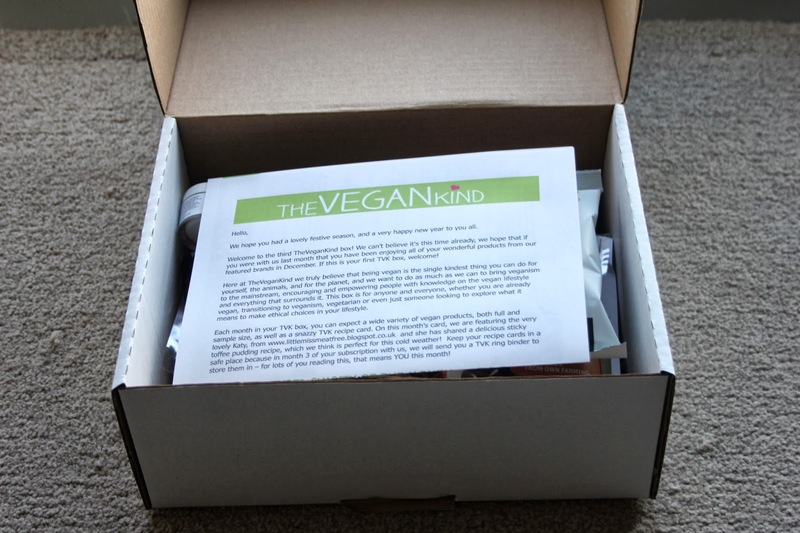 I’d never heard of them before but I recognised the product they offered: much like Vegan Cuts in the USA, this UK based company sends their customers a monthly box full of samplers and goodies — all vegan! I couldn’t resist. Read to the end to find out about the give-away! THIS GIVEAWAY HAS NOW ENDED, THANK YOU ALL FOR ENTERING! 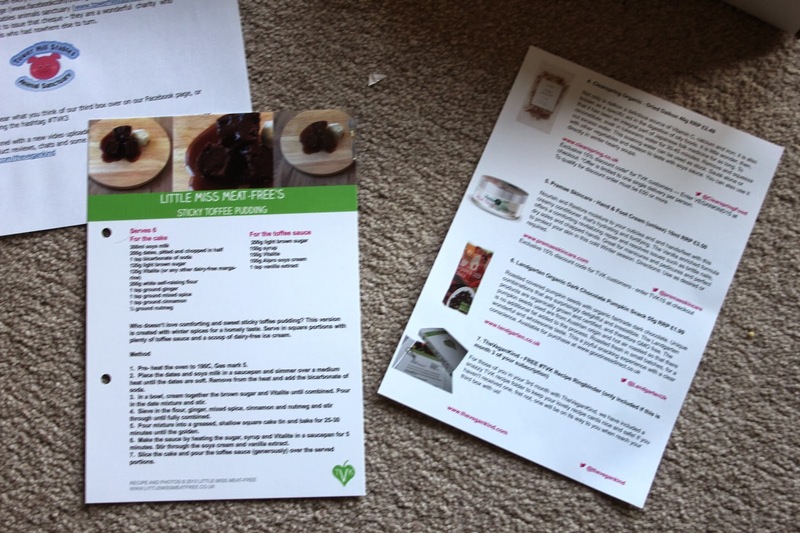 Every month you get a new recipe card in your box, along with a list of the products you’re being introduced to, a little blurb about the companies who produce them, and a fair few discounts. The newsletter tells you about the charity of the month; 10p from every box sold goes to this charity. I ate these one morning when I woke up extremely peckish but too groggy to make breakfast straight away. They hit the spot and for such a tiny packet, left me surprisingly satisfied. 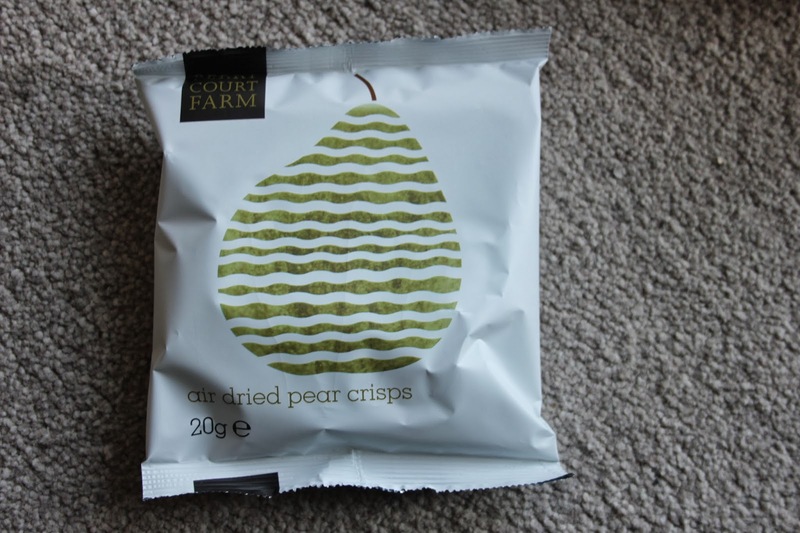 They are 100% natural, no added sugar, no fatty oils to fry the pears in… just pears. Dehydrated. There ya go. These were gobbled up very fast during a boring session at the library, proof of how delicious they were. I wish I’d had another pack with me (or maybe not, because I have no self-restraint). I’d heard of Daikon before but had never tried it. And I probably would never have without TVK because this is too expensive for me in shops, but now I get to try it! I was already familiar with Clearspring, a brand I like very much. 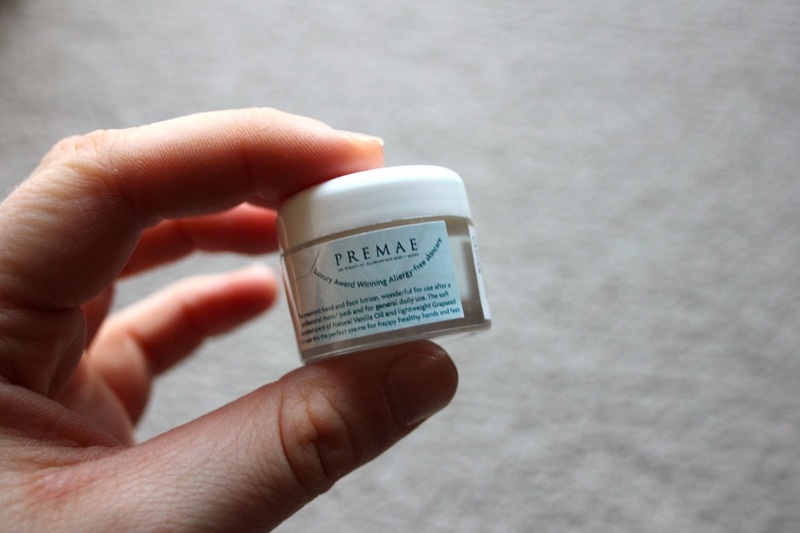 I’ve kept this wee pot in my bag to moisturise my hands during the day. I was taken aback by the price at first but it turns out you only need the tiniest amount to moisturise both hands, so it’s a fair deal after all. 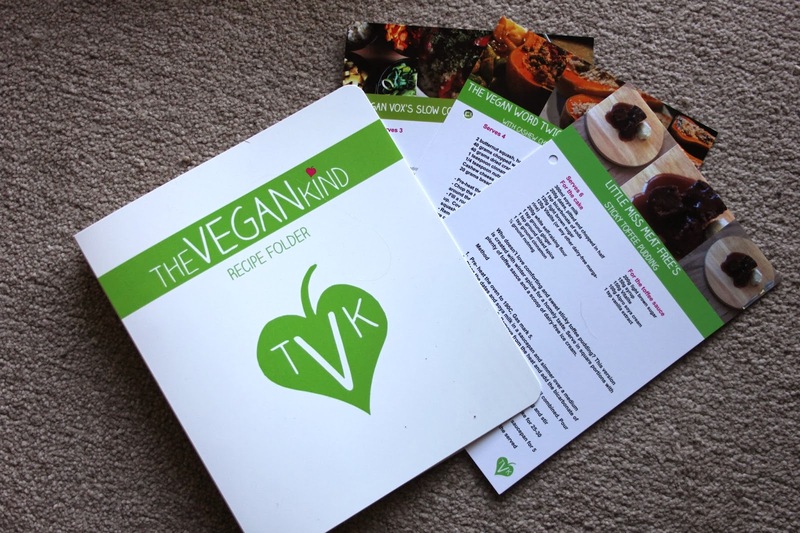 With your third box you receive the TVK ring binder to store your recipe cards in. Handy, isn’t it? 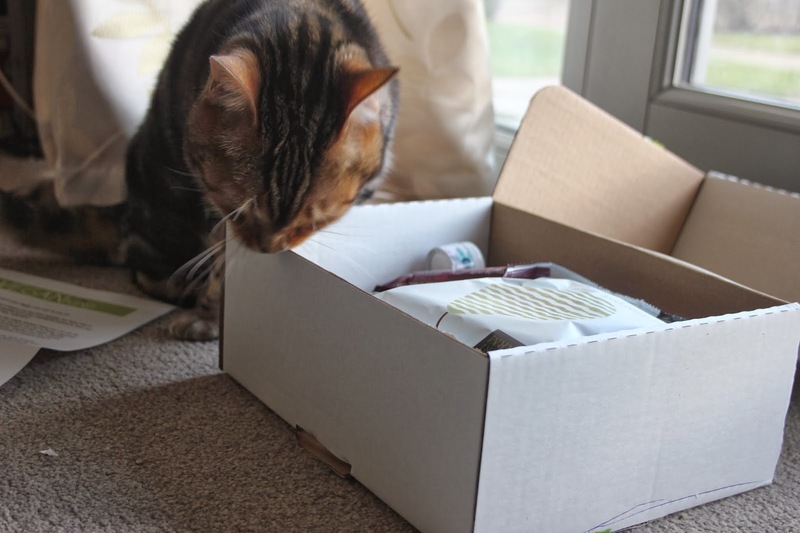 I think this monthly box is a great way to discover new products. 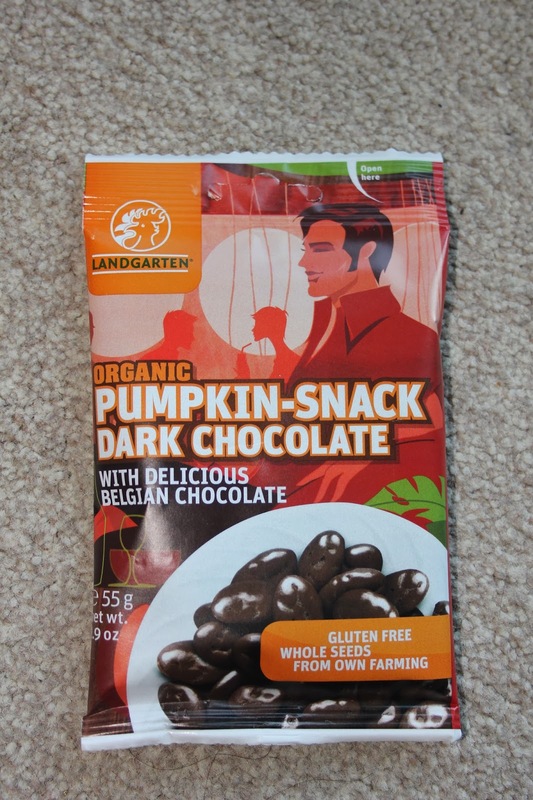 Sometimes it’s just so hard to track down the vegan products you want — I don’t know about you, but I have sometimes gone from shop to shop without finding what I wanted, or finding that it wasn’t vegan after all, and it’s just so disappointing. But The Vegan Kind do all the hard work for you. You get 5-8 items in each box, all for a value guaranteed to be more than £10. Monthly boxes cost only £10 (+p&p £2.95) at the moment, so don’t hesitate! They deliver to the UK and across Europe. For more information, visit their website. 4. Subscribe to email updates from The Vegan Cookie Fairy through the sidebar on the right of this page. 5. Share the link to the give-away on Twitter or Facebook. The more of these you do, the better your chances of winning! The giveaway ends Friday 17th January. The winner will be announced here on the blog within a couple of days, so keep checking back. Open to entries from UK residents only. Disclaimer: I was sent a box to review, but all opinions are always my own. I'm especially interested in the chocolate bar (duh) and the daikon strips. That's really neat .. I've heard good things about these boxes but hadn't got round to investigating. It really does look great! I love that there's a mixture of foodie things and cosmetics.